I had the pleasure of moderating the Enemies, Allies and Antiquities: From Versailles to Acadia panel with historical fiction authors Roberta Rich, Sally Christie and Genevieve Graham at Toronto Public Library’s Appel Salon. Genevieve was kind enough to provide responses to several questions I asked, and has given me permission to share them! Genevieve graduated from the University of Toronto in 1986 with a Bachelor of Music in Performance (she played the oboe) and began writing in 2007. She is passionate about breathing life back into history through tales of romance and adventure, and loves the particular challenge of capturing Canadian history. 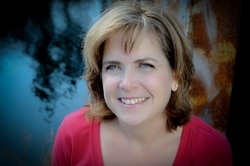 Her previous novel, Tides of Honour, was a Globe and Mail bestseller for eight weeks. When she isn’t writing, she can be found relaxing with her husband and two grown daughters, teaching piano to children in the community, or tending her garden along with a friendly flock of heritage chickens. She lives in a tiny town near Halifax, Nova Scotia. Why do you believe your historical novels are so popular with modern readers? How do you make your historical subject accessible to readers? 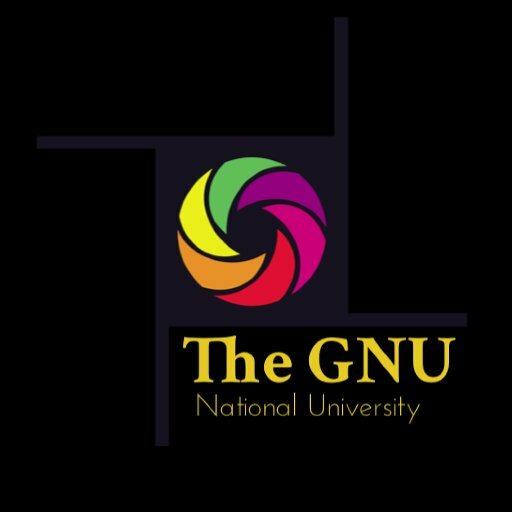 Choosing to complete my MFA studies in Creative Writing at National University in San Diego, California, was one of the best things I did to develop as an author. The following is an excerpt from a reflection paper I wrote for a course. A special thanks to Professor Bryan Hurt, my thesis adviser, and Professor Frank Montesonti, Academic Program Director, for their guidance and support throughout my studies. I want to be less worried about making mistakes and have more fun with the writing process. While reading fiction gives me great pleasure and satisfaction, writing fiction is too often filled with insecurities, sometimes crossing the line into dread and despair. I know from having written about this in one of my courses that many of my insecurities as a writer stem from past experiences as a former ESL student struggling to learn English, and some racial assumptions I faced (and continue to face) as an ethnic minority. But I want to move beyond the negative spaces that occupy the writer in me. What I want to focus on as I move forward is this: Each of my courses has provided me with the opportunity to consider aesthetics in poetry, fiction, and creative nonfiction. It is one thing to delve into writing, where pouring words onto paper is like throwing paint against a graffiti covered wall. It is another process entirely to consider creating art as one writes; to consider writing a poem using the abecedarian form and to experiment with constrained writing to see where it takes me. The desire to create art in prose commits me to take more risks, to play with form, style, and structure as I explore the possibilities around me using language and the written word. My goals in writing poems, literary fiction, and creative nonfiction are to inspire, provoke, and challenge the reader at some level. 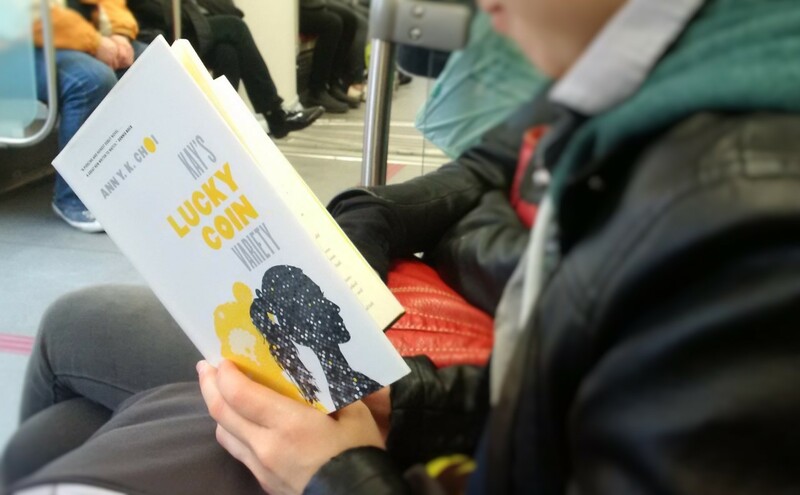 Earlier this year, my debut novel, Kay’s Lucky Coin Variety, was published. The entire process of writing that book and getting it onto bookshelves took nine years. 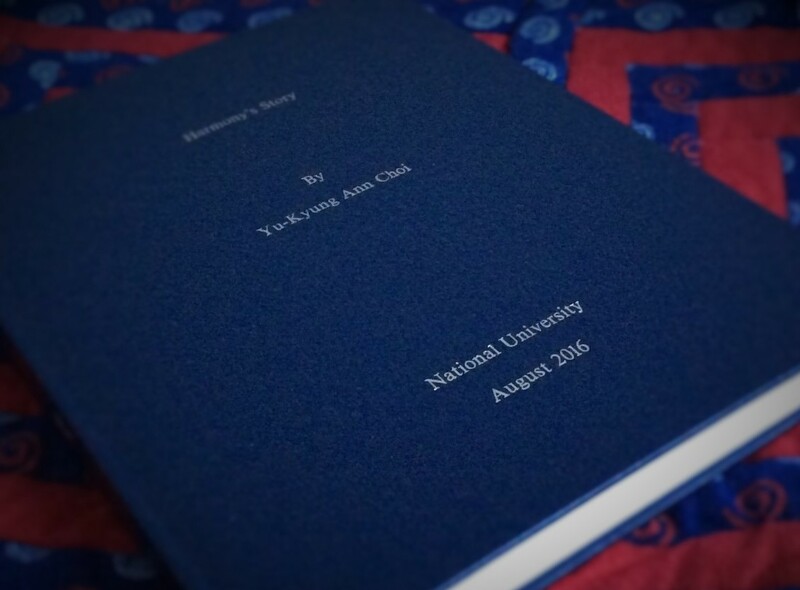 I began writing Harmony’s Story, my second novel and thesis project, through National University. Set in 1924 before Korea became a divided nation, it is a story inspired by my great-great grandmother, Boon, and loosely based on her experiences. Having written a novel already does not make writing this second one easier. I feel though that I have a greater understanding of what it takes to write one. Writing gives me a voice. My MFA studies have challenged and motivated me to refine that voice and the messages I want to deliver. Focusing on my professional growth as a writer will help quiet the inner voice that is intensely personal and continues to struggle at some level with sharing my writing with others. However, unlike the first step I took as a writer years ago, today I am mindful of the process of creating art and appreciative of how I have changed and will continue to evolve as an author. I remain committed to my writing and moving forward with it.